Who Stole This 'Masterpiece' Cheese? 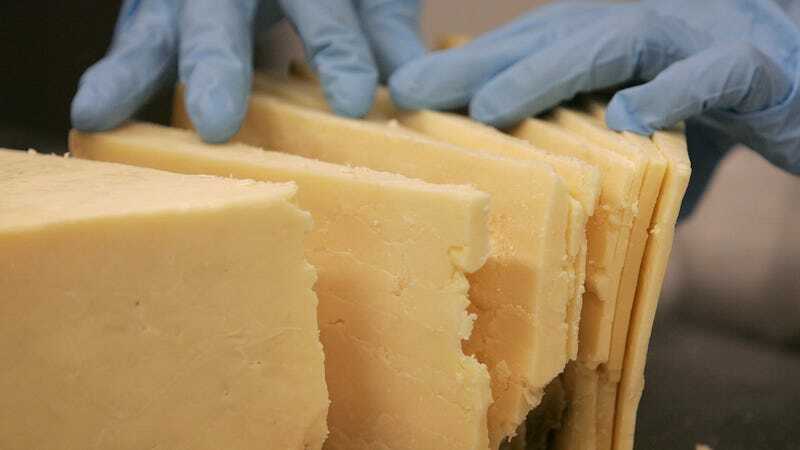 A heist mystery for your Tuesday morning: Who stole two big, beautiful, valuable blocks of cheddar from the the Yeovil agricultural show in Somerset, England? The judges at the Yeovil show had crowned the two hefty blocks of cheese champion and reserve champion and the specimens were being left in a marquee overnight so that they could be admired by members of the public next day. Thieves took the blocks, weighing 20kg each and with a retail value of around £800, and the winners’ certificates from the tent during overnight on Saturday. Honestly—rank villainy. Please return this man’s masterpiece cheese.